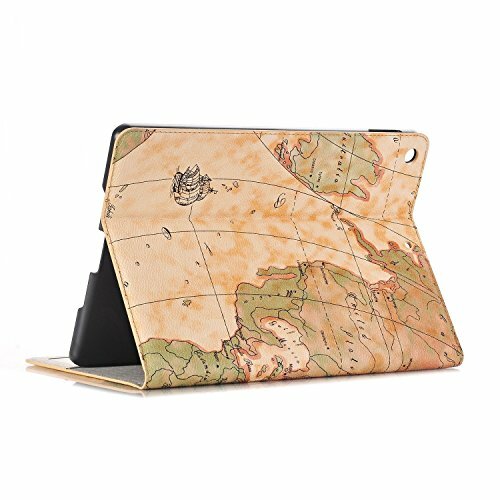 ❤[Map Pattern Tablet Protective Case]: -This Tablet case ONLY fit for Samsung Galaxy Tab S4 10.5(SM-T830 /SM-T835/SM-T837),not fit for other Tablet.Kindly check your Tablet Model before purchase. ❤[Hand Free Stand Design] -Book Style Hand Free Stand Function ,which bring you more convenient when watch video read book and chat. ❤[Card Slots Design] - iPad Case had card slots design.It is easy to carry your cards and cash anywhere. Solid construction but no bulky,Precise cutouts full access to all buttons ,ports, sensors, speakers & camera. ❤[After-Sale Warranty] -We attach high attention to every customers experience, if there is any quality issue caused you dissatisfy with this item,we provide 100% Money back or replacement warranty.